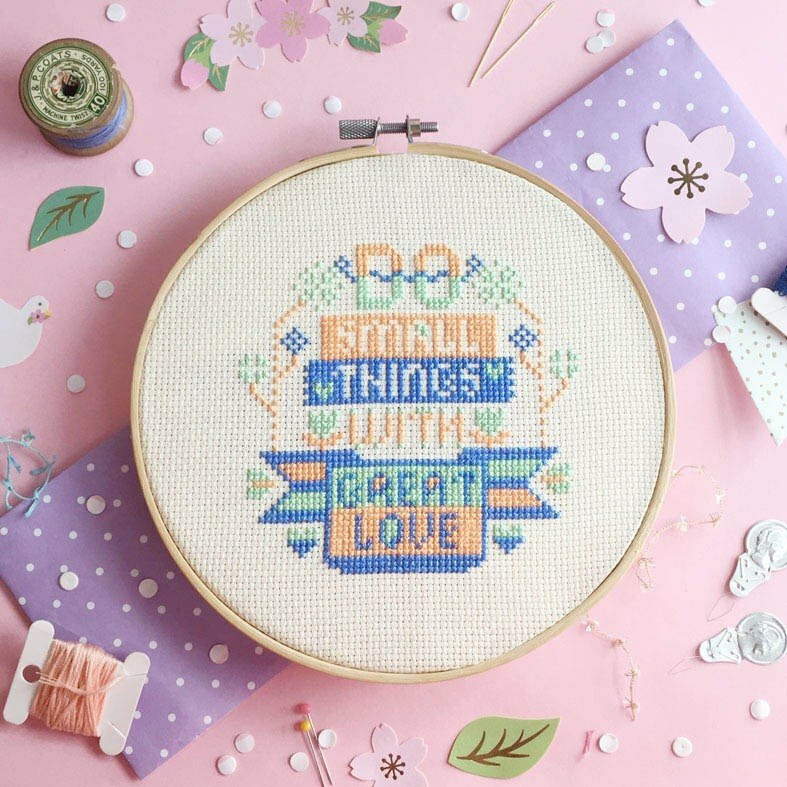 Cross Stitch KIT - Do Small Thing with Great Love Cross stitch for our wonderful life!! Let's put 100% your love with heart in your life, ever small things, and all those things will like the flower in bloom :) A modern and funny quote pattern. Great idea as a gift for your friends and family. ---------------- Pattern Specs: - Fabric: 14 count - Finished stitched area (W x H) : 4-1/4” x 4-1/4” (10.5cm x 10.5cm) - Hoop size recommend : 6" ---------------- Cross Stitch KIT included : - Full Color Design chart and basic directions for beginners - Good quality cotton embroidery threads which enough to finish - 2 x Round point 24 tapestry needle - Cream cotton Aida fabric, 14 count - 6" Wooden Hoop A gift for your friends & family?? We do FREE gift wrap, just tell us ---------------- Please note : - KITs are despatched to worldwide by HONG KONG POST Tracked Airmail shipping (10 to 15 business days to arrive ). - Items are shipped as soon as possible after payment, usually within 1 to 3 business days. I will let you know after it despatched. - Post Fee including the packing material fee, time costs and postage costs.